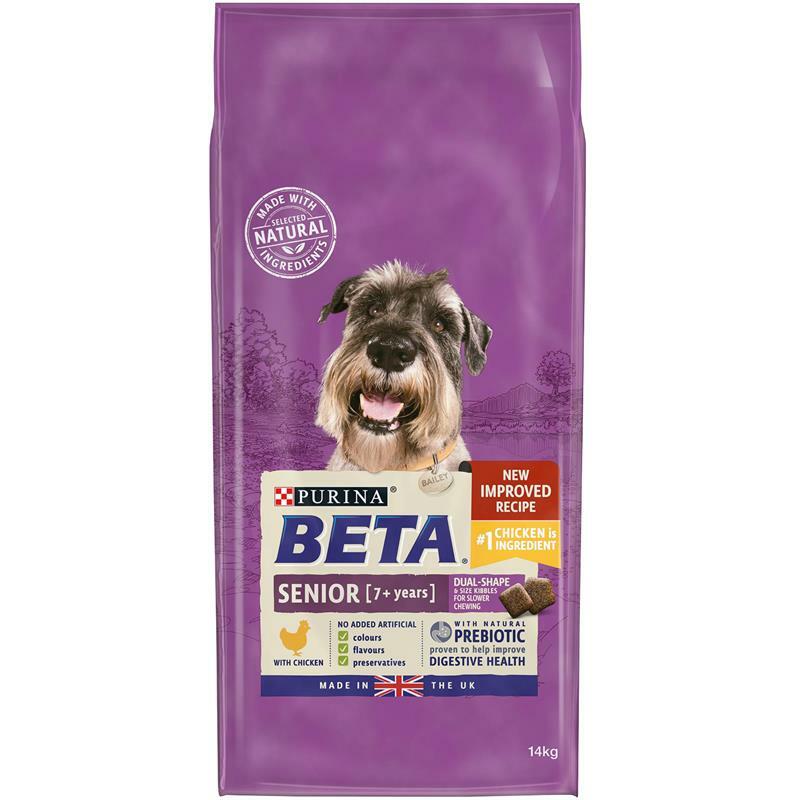 BETA Senior Dry Dog Food With Chicken - 14kg. BETA dry dog food with chicken has tailored nutrition for senior adult dogs that includes Omega 3 fatty acids to help support joint mobility, and antioxidants to help support natural defences. It is also specially formulated with selected natural ingredients and a natural prebiotic to help support digestive health. No added artificial colours, flavours or preservatives.